For details click the “2017 Weekend Sessions” tab in the drop down list under the Programme 2017 menu above. For details click the “2017 Week-long Sessions” tab in the drop down list under the Programme 2017 menu above. 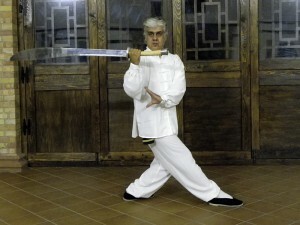 We are pleased to host the second European Baguazhang Forum. There will be a Baguazhang session each morning from 7.30 – 9.30, starting on Sunday. . 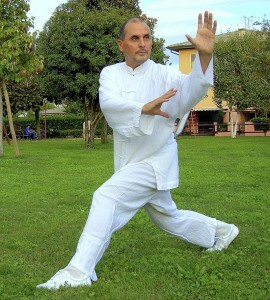 There will be qigong sessions from 8.30 – 9.30 each morning starting on Sunday. After dinner on every night (except Wednesday – Ceilidh night!) there will be non-competitive push hands. There will be a separate area for beginners to receive instruction at the start of each session. This will feature a different teacher each night, as we all have different approaches and emphases to this practice. As the event takes place in the heart of Scotland, in the shadow of the monument to William Wallace, we will also experience some Scottish culture. By popular demand we will have a ceilidh on the Wednesday night. Our ceilidh band has a caller, who will talk you through the steps, so even the inexperienced can enjoy the fun.